Every person associated to the business community craves for a way to grow in accelerated ways. The upsetting side of the story is that the majority of these people fail terribly. My personal thought is that they get departed by information - things they see or hear about. It's not they're trying too many things; it's more about prioritizing them. When I first studied "Traction: A Startup Guide To Getting Customers" by Gabriel Weinberg (Founder and CEO, DUckDuckGo) & Justin Mares, the creators made clear that things that might not work for you in your first steps may work later, and the other way around. Traction Book addresses the main 19 channels that can push traffic and assist you in deploying your business. It also contains a description of the Bullseye Framework, a way to prioritize and uncover the right channels and experiments for your product. Why is prioritizing such a big thing? It has to do with having a sensible approach, on the channels that will completely raise your business. This very infographic is a visual interpretation of these 19 channels. Enjoy! 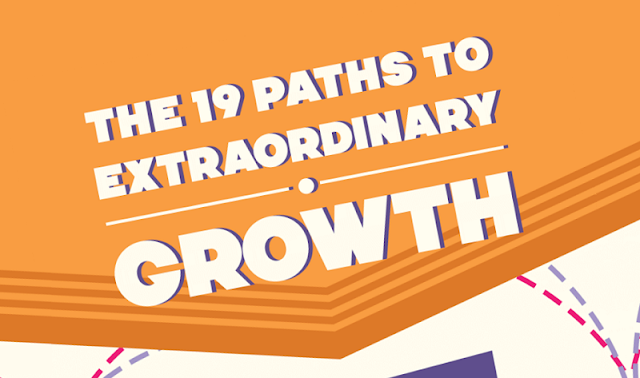 This is a guest post by Apostle Mengoulis - Who's a Growth and Content Hacker at GrowthRocks. His aspiration is to share knowledge through interesting and fun content around growth hacking and digital marketing. You can catch up with his latest articles at Growth Rocks Blog.